The Government of India under the Agricultural and Processed Food Products Export Development Authority Act, 1985 has established Agricultural and Processed Food Products Export Development Authority (APEDA). Development of industries for scheduled export products that include financial assistance, surveys, and feasibility studies. Registration of persons as payment of fees for exporters is well defined. Fixing of standards and specifications for scheduled export products. Carrying out inspection for meat and meat products. Improvement in the packaging of the scheduled products. Improvement of marketing of scheduled products. Promotion of export-oriented production and development of scheduled products. Training in various aspects of industries. Organic Products: India is bestowed with a lot of potentials to grow organic produce. National Programme for Organic Production promotes the growth of organic products under a system of agriculture without the use of chemical fertilizers and pesticides. The programme relates to the accreditation programme for certifying bodies, sets standards for organic production, and promotion of organic farming. Floriculture: India is naturally blessed to have several agro-climatic zones. Realizing these potentials, India has widely seen a shift from sustenance production to commercial production (including the production of floriculture products). Processed Food: Indian food processing industry is export orient. APEDA approved proposals for joint ventures, foreign collaboration, industrial licenses, and export-oriented units for investments. Cereals: India is world's second largest producer of rice, wheat, and other cereals. India is also the largest exporter of cereal products in the world. Online APEDA Certificate provides conditions for export of cereal products including the rules for export of rice to the USA. It also provides import conditions; such as levied on import of grains from Chile. It also regulates the storage and handling of rice; both basmati and non-basmati through its list of do are and don'ts. Animal Products: It plays an important role in the socio-economic life in India. The demand for India buffalo meat in the International market. 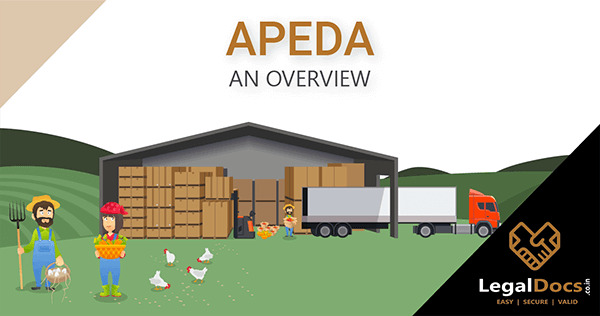 APEDA product catalog: A wide variety product catalog has been developed for regulation and monitor of its production and import-export. The purpose of APEDA registration is to promote export and development of scheduled products. Central Government is the sole controlling Authority for APEDA. Various functions have been assigned to APEDA by the Central Government. Therefore, the authority follows and implements the rules framed by the central Government. It is the Central Government that makes provisions, restrictions for the purpose of controlling export and import of products. Any person who attempts to contravene the procedure or enforcement of these is liable for imprisonment and fine in addition to confiscation and penalty under the Customs Act. What are the APEDA License documents required? The application for registration for RCMC must be made within a month from the date of the undertaking of export. The application form has to be filled and signed by the authorized signatory. The form may also be filled online. Self-attested copy of Import Export Code (IEC) as issued by DGFT. List of Directors/ partners/ proprietor on companyâ€™s letterhead is required. A copy of memorandum and Article of Association is required for societies, private limited and public limited companies. For partnership firms, a copy of partnership deed attested by the notary will be needful. Self-attested copy of PAN cards is required as issued by the Income Tax Department. The e-mail id, phone, and fax numbers of the entity must be mentioned in the application. 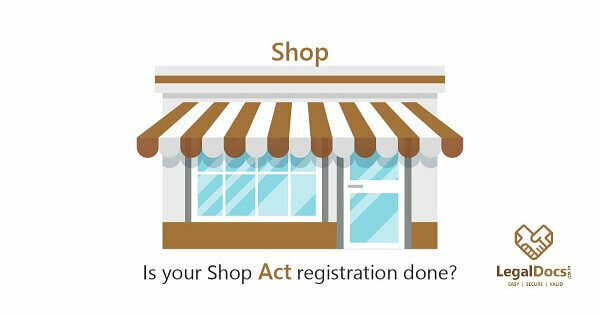 One should be able to furnish the copy of registration with the required organization; FFO, Directorate of Industries, State Department of Horticulture/ Agmark or EIA in order to register as Manufacturer importer,. A fee of rupees 5000 is payable in cash, demand draft or pay order towards the registration of APEDA. 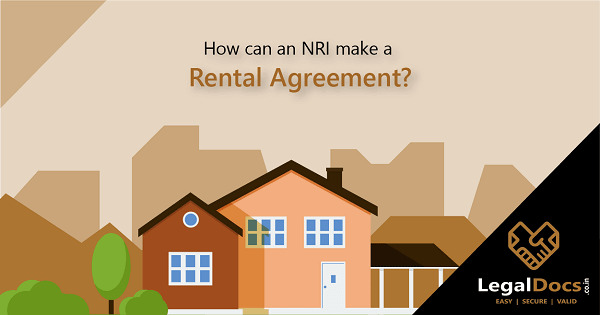 It should be payable to the specific APEDA office where the request to seek the registration has been made. Such a registration is one-time registration. It shall be valid unless it is canceled by the Authority itself. It is important that the applicant must mention the main line of the business at the time of making an application. It enables the registered members to participate in the training programs which are organized by APEDA in various aspects of the industries for scheduled products. APEDA Service has taken several initiatives for promoting the export of perishable commodities. Online APEDA Registration provides necessary technical inputs. Centers for Perishable Cargo (CPC) have been established at international airports of Delhi, Amritsar, Mumbai, Kolkata, Bagdogra, Hyderabad, Bangalore, Chennai, Goa, Nashik. Vapour Heat Treatment facilities for export of mangoes to Japan and Australia. Irrigation of mangoes produced for export to the USA. Food safety is a primary concern. The main aim here is to provide assured safety and quality of food to end users. It provides financial assistance to those exporters who are concerned to implement food safety standards in various sectors. Research and development play an important role in terms of export enhancement program. Research and development are conducted by APEDA through the help of expert institutions for the benefit of processors and exporters. Export of perishable goods is facilitated through transport assistance provided by APEDA. This helps the exporters to bear the burden of high storage and transportation cost involved. Apart from these, APEDA has established a number of agri export zones also referred as AEZs in different parts of the country. Training programs in these zones are provided for the identified fruits like grapes, mangoes, and litchis. Controlled Atmosphere containers are also provided by APEDA for sea transportation of mangoes to various countries. APEDA Registration helps the exporters in efforts for upgradation of post-harvest handling, distribution, and marketing facilities in order to cut down wastages and further preserving the quality of fresh produce. I already have the import-export code, now authorities are asking for RCMC and APEDA Licence, why it is required for export activity? is it compulsory?